Make It Fit or Let It Sit? When you are building a puzzle, you don’t try to make the wrong pieces fit, you keep searching till you find the ones that do! That also applies to network marketing. Now you probably say, ‘Hey, that’s a little harsh’ and in some cases you are correct but if you truly want to build a business, and be among the 1% of successful network marketers, then you will understand the concept. You see, too often we, as network marketers, truly want (and I wholeheartedly mean truly want) to help everyone we bring into our business. They are a piece of our puzzle, YES A PIECE and it is our job to fit them perfectly into our masterpiece. We listen to their Why and find empathy in their story so we continue to help them. It’s great in the first few weeks, maybe even months, but at some point in time, that puzzle piece should fit PERFECTLY into the overall design that you, their sponsor, mentor, and leader, planned for them. Then, all of a sudden, the momentum dries up, their Why becomes clouded, and the amazing passion, story and focus they shared with you in the beginning begins to be covered in doubt, fear, and lost vision. This moment, right here, is when the puzzle piece all of a sudden doesn’t fit. 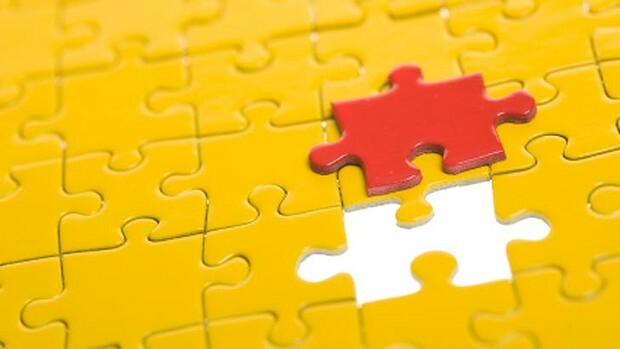 In real life, when you are actually building a puzzle piece, you would set that piece aside, should it not fit and search out the one that does right?:? ABSOLUTELY!!! However, in network marketing, we continue to try and put that piece in that spot, that moment, that situation, and what happens when you do that, you begin to focus solely on making that piece work. You begin to lose focus on the masterpiece and focus more on finding a way to “MAKE IT WORK” Well, I am here to tell you IT WON’T WORK!!! Not right now any way… YES they are still a part of the master plan, but if they don’t fit into the plan after several attempts, then it might not be their time. You need to find the piece that fits right now, and continue to build the masterpiece and eventually, those pieces you put to the side will fit perfectly into your puzzle. Previous Article Tyler Perry Said It Best! Next Article What is your Point of View? Well said, I completely agree. Set aside that “piece” and look for others that will fit in the whole puzzle. In the interim, maybe that first “piece” will find their way to fit again.